Any tax cut for middle income earners will also provide a benefit for those further up the income scale, including the top 20 percent who now pay 95 percent of all income taxes, according to the director of the Office of Management and Budget. 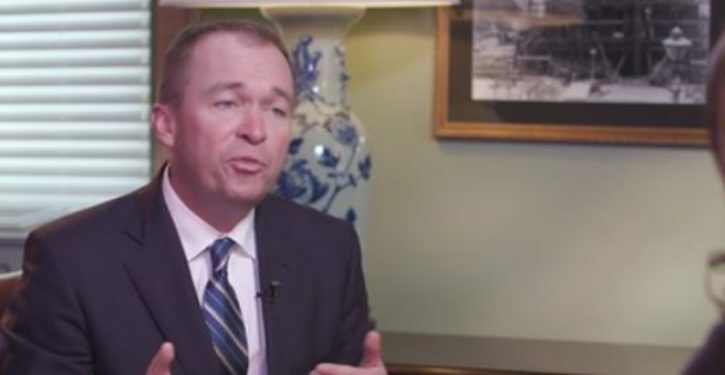 In explaining the complicated tax system the administration and congressional Republicans are trying to simplify, Mick Mulvaney played the role of professor at Georgetown University Wednesday night and dished the eye-popping numbers and impact of a middle class tax cut. It came in a discussion before students of the school’s Institute of Politics and Public Service at the McCourt School of Public Policy. The discussion was directed by Cathy Koch, a tax expert and former Senate aide.